Make your Impression on The Web! The best website in the world would be useless unless people can easily find and access the site. The importance of SEO services cannot be understated. Without them the website is either dead or constantly treading small waves in big ocean. If you have a small business, you may be wondering how you can utilize Search Engine Optimization to grow your leads. Algorithms on major search engines are ever evolving and tactics and strategies that were implemented years ago don’t hold much weight today. Own the prestige of being ranked higher on Google and a largest piece of search traffic. 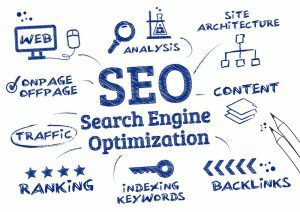 SEO rankings cary consistent trust with search engines and end users and carry the majority of traffic. SEO isn’t something you do once, it takes constant tweaking and measuring to improve and retain rankings over time. With search engines changing their algorithms 500-600 times a year, be up to date on the current strategies. We spend the time to regularly review your website to make sure none of Google’s changes will impact your rankings and if it does, refine the approach as needed. Is your current search traffic lacking or not where you believe it should be? Are you having a hard time finding yourself for the keywords you want to be showing up for? Did you know that 97% of consumers use the Internet to find local businesses? Prime Media Consulting SEO (Search Engine Optimization) services are designed to structure your website optimal and relevant for search engines like Google, Yahoo and Bing. This is unlike Pay Per Click (PPC) where you can see instantaneous results. This is an ongoing internet marketing process. Today’s online marketplace demands that if you are going to be found and chosen, you’re going to need to invest into your business’ website. Every effort we make has to be part of your integrated online and offline strategy that will continue to drive traffic and keep your audience engaged as your business grows. Prime Media Consulting provides skilled SEO professionals who are trained in how to use SEO tools and practices to maximize your visibility online. Does Website Rank Really Matter? We are all trying to improve our organic rankings so we can get more traffic from the search engines. Every time we work on our websites we ask ourselves how much traffic we would get if we were first page, in the top five or even first on the results page? This quick graph shows the average click through rate on the top positions of Google. Great SEO starts will well researched keyword-based website content to drive traffic to your website organically. We use tried-and-true techniques to improve your website’s presence while also providing transparent reporting to track the success for your campaigns. The goal in working with Prime Media Consulting is to increase your presence and gain authority in the unpaid online area of these websites. We target the keywords most likely to be clicked on while creating quality links to your self so you can rise on the search engine results page (SERP) and increase your cashflow. Your business is unique: it has unique goals, customers and needs. 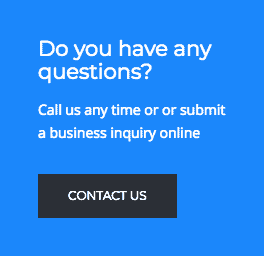 Contact Prime Media Consulting to learn more about how we can help attract more clients through current and up-to-date website optimization solutions. Want to learn more about how Prime Media can help your business with Search Engine Optimization?